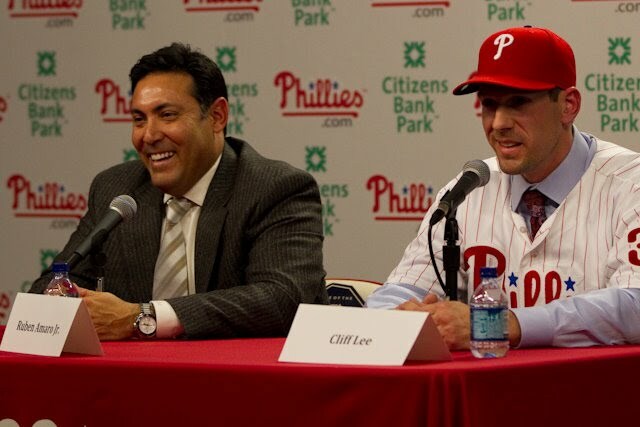 Cliff Lee looks to even the score with the Indians this evening in the place where it all started for Cliff in his major league career. Cleveland was the place where it all started for Cliff way back in 2002 when Lee broke into the majors at 23 years old. In 2008, Lee had an amazing season with the Indians and had 22 wins on the year, with only 3 losses, that year he won the Cy Young award for the American League, and Roy Halladay was a runner up to him that year for the award. Roy had 20 wins and 11 losses for the Toronto Blue Jays. So he will look to help the Phillies tonight avenge the 14-2 drubbing that the Indians inflicted last night on the Phils.